Our oceanfront hotel is a romantic setting for your celebration. 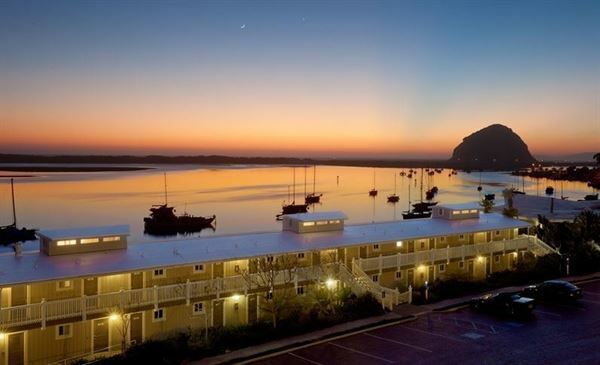 Whether you are planning an intimate ceremony for 20 loved ones or a lavish reception for 200 guests, our one-of-a-kind hotel is the perfect choice for your Morro Bay wedding or special event! Surrounded by an 18-hole golf course and 4,000 acres of woodland, our seaside hotel is an impressive location for your next meeting or event. From corporate retreats to large-scale banquets, our beautiful property is well suited for events with up to 200 guests. We offer delicious on-site catering and easy audiovisual equipment, along with planning services for your convenience. Choose from six distinct Morro Bay meeting rooms, including cozy indoor spaces and outside decks.